Anything Kim Kardashian or Kendall Jenner can do, Kylie Jenner can do better, right? 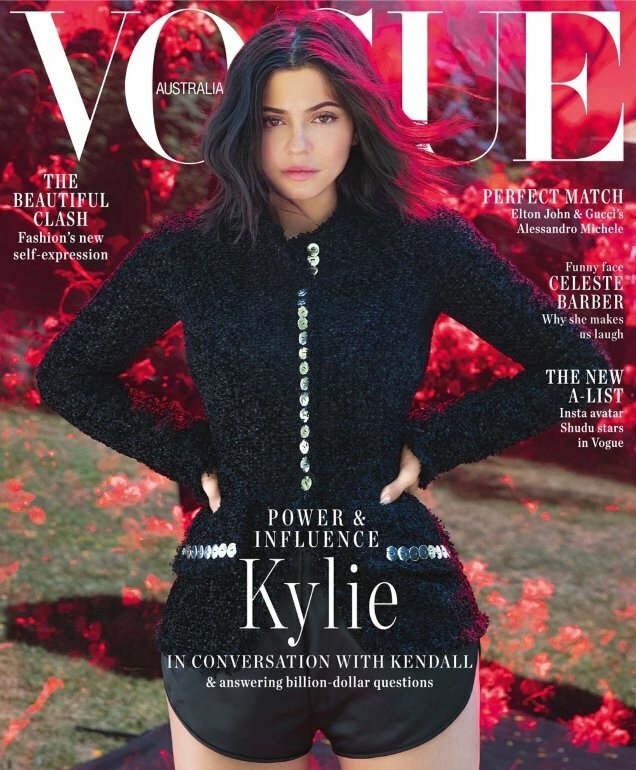 After years in the limelight and a staggering 113 million Instagram followers later, Kylie has just been given her very first Vogue cover (we know, considerably long overdue). Following in the footsteps of sister Kim, the 21-year-old self-made millionaire covers the all-important September issue of Vogue Australia. Photographer Jackie Nickerson teamed up with stylist Christine Centenera to profile Kylie this month, resulting in a bright and vibrant cover. The cover caused quite the controversy with our unfiltered forum members. “Bad taste,” quipped Perickles the second the cover came to light. “What a disappointment! Can’t say I’m impressed. To make matters worse you have one of the most odious and inconsequential young women in the world being put onto a pedestal. This has Christine Centenera written all over it. She’s mad about all things Kardashian. It’s just a shame that one of my favorite Vogue editions had to give this girl her first cover. Shameful!” declared Benn98. “Vogue Australia is canceled,” said AFWQ. “Kylie… in conversation with Kendall? Dear God, pass me the sick bucket please,” wrote mikel. “Kylie Jenner? How original. What’s with the styling? A pair of training shorts paired with this jacket? Terrible,” Valentine27 complained. Bad taste or newsstand gold? Await more from Kylie’s cover shoot and join the debate here.